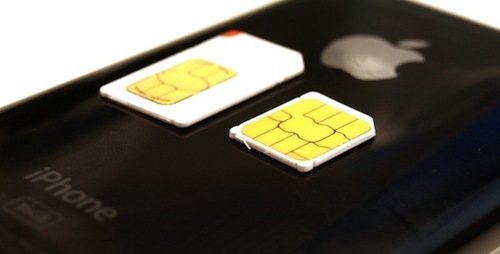 According to Reuters, an executive of Orange has confirmed the French carrier is backing Apple’s plans for a new standard to make SIM cards smaller in order to use them in future thinner mobile devices. The proposed standard aims at reducing the size of SIM cards, which are currently implemented as “micro” models in the iPhone 4 and iPad. We were quite happy to see last week that Apple has submitted a new requirement to (European telecoms standards body) ETSI for a smaller SIM form factor — smaller than the one that goes in iPhone 4 and iPad,” said Anne Bouverot, Orange’s head of mobile services. 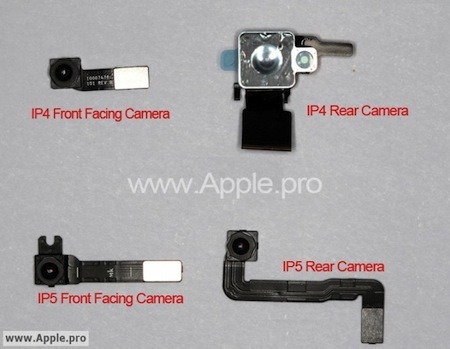 Yesterday we posted some portion of information about a case design for the “iPhone 5G” that seemed to suggest the next-generation device would relocate the rear-facing camera flash to opposite side of the lens, 9to5mac points to leaked iPhone 5 parts posted by well-sourced website Apple.Pro which indeed show a rear camera lens with no Flash attached. 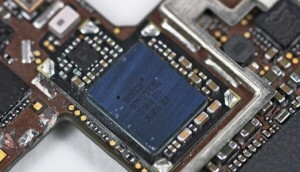 The alleged parts, posted alongside old iPhone 4 camera components, show a redesigned internal front-facing lens, as well as a different rear-facing module lacking the flash part found on the iPhone 4. While it’s impossible to tell any improvements on the cameras from these photos alone, Apple.pro does seem to confirm today’s “crystal case” for the iPhone 5 with a relocated camera flash on the back panel. 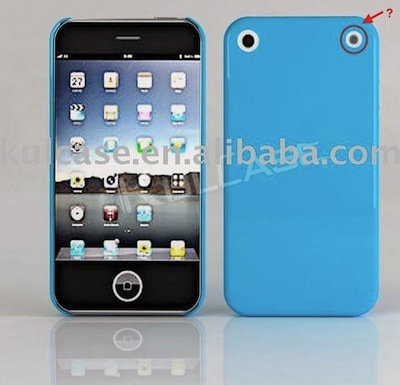 Alibaba.com started selling a new case for co-called “iPhone 5G” that suggests a new camera flash placement for the next generation iPhone, as well as a thinner bezel with an horizontal edge-to-edge display design. The case has a slot for the camera flash on the opposite side of the lens, which is rumored to receive an upgrade for the iPhone Apple will likely unveil in September. As far as theories about the larger display go, in April rumors claimed that Apple was working on a completely redesigned iPhone, a larger display, a new Home button, and worldphone capabilities. Several rumors in the past months suggested Apple could release a redesigned iPhone 5 with a larger screen, NFC compatibility and a tweaked Home button design, but recently multiple sources and analysts close to “people familiar with Apple’s plans” seem to believe the next-generation iPhone will launch in September with a design similar to the iPhone 4, and upgrades to the CPU, RAM, and rear-facing camera lens. 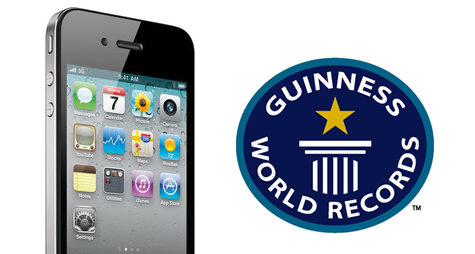 The iPhone 4, the iOS App Store and a number of iOS games have been honored with Guiness World Record awards. The iPhone 4 was named the fastest-selling portable gaming system following a first day sales figure of 1.5 million units when it was released on June 24 last year. 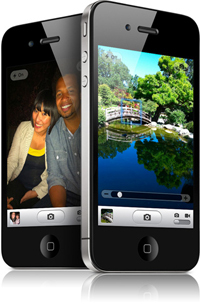 Jefferies analyst Peter Misek claiming that the next-generation iPhone will be called “iPhone 4S” and it will come with a dual-core A5 processor, and better cameras. 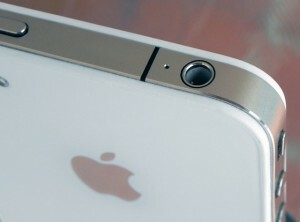 Misek also seems to believe the iPhone 4S will indeed feature minor “cosmetic changes” and support for HSPA+ networks. Because the 4G chips weren’t ready, Apple is going with the minor update to the iPhone 4. Misek also revealed the next version of the phone will work with Sprint, T-Mobile, and China Mobile. Misek believes the iPhone 5 — which was rumored to have NFC, a bigger screen, 4G connectivity, or a thinner form factor, among other things — will look like an iPhone 4, only faster on the inside. DigiTimes predicts that there will likely be component shortages in the next two months as a result of the Japanese earthquake and tsunami from earlier this year. In fact, many key players from Asus, HTC, Motorola and Apple have been aggressively acting to secure various components such as PCBs and glass touch panels. A new report from DigiTimes claims that Apple is in discussions with two Taiwan-based integrated circuit design firms, Integrated Memory Logic (iML) and Capella Microsystems, for sourcing of components for the company's iOS devices. 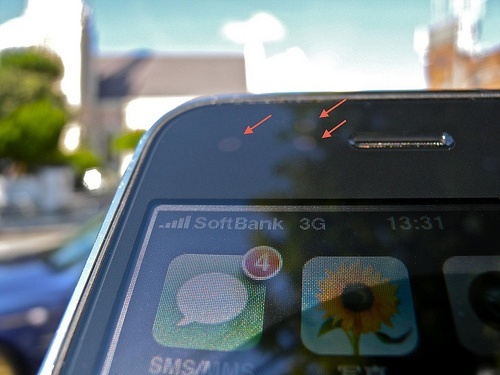 Capella is said to have already delivered new ambient light sensors to Apple for testing and verification. The ambient light sensor is used in mobile devices, in conjunction with software, to determine the automatic screen brightness and optimal settings depending on external light conditions. Apple intends to implement these sensors in the next-generation iPhone, set to be announced in September. 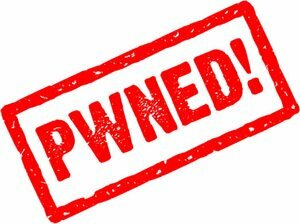 Several hackers confirmed that recently released iOS 4.3.3 is still vulnerable, Apple did not fix the I0n1c jailbreak. Utilities will be released as soon as I0n1c compiles new jailbreak binaries for iOS 4.3.3. Untethered jailbreak will be available for iPhone 3GS, iPhone 4, iPad 1, iPod Touch 3G, iPod Touch 4G. "Apple has informed us that they do not plan to release the iPhone in the June to July timeframe, though there will be a newer version in the future. Unfortunately, we have not been given a release time for the new phone. We will release this information on our website when it is available to us." The long-awaited white iPhone 4 started selling yesterday. At first glance it looks like the regular black model. While Apple doesn’t list any size difference in their Tech Specs page, Ryan Cash of Marketcircle notes on his personal blog that the white iPhone is actually slightly thicker (0.2 mm) than the black iPhone. 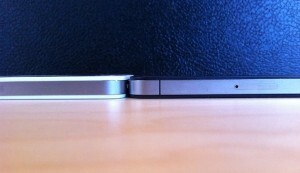 It’s not the steel enclosure that’s thicker on the white version; it’s the plastic (see the photo above). Ryan came to that result then he’d experienced some problems when trying to fit the white iPhone in older iPhone cases. Though the difference is very minimal and visible only when comparing the devices, and not so many cases will probably have this problem. The purchase of consumer electronic devices is not always a completely rational decision, and people buy Apple products for many different reasons, including status, aesthetics, functionality, quality and the ‘cool factor.’ In our view, this delay has created a certain mystique and scarcity value around the white iPhone 4 that we believe could drive incremental iPhone 4 purchases in the range of 1 million to 1.5 million units per quarter until the iPhone 5 potentially comes to market in September. 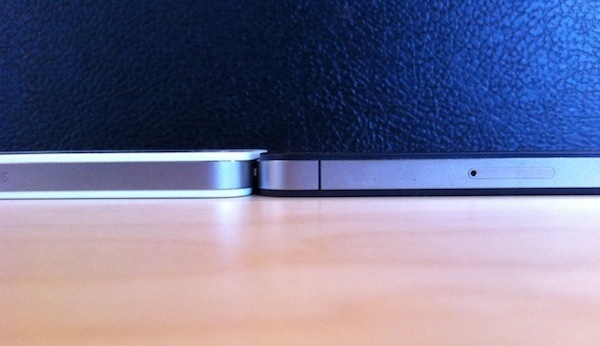 We still don’t know whether Apple realizes or not the iPhone 5 until September or early fall. 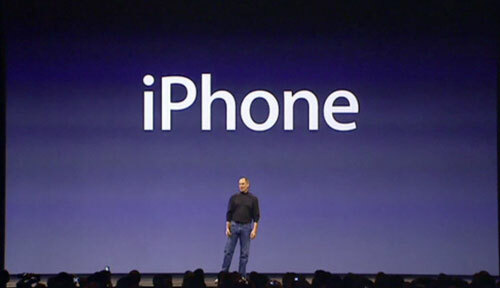 But we’ve tried to sum up all possible reasons why Apple might officially launch the iPhone 5 this fall. First of all, Apple announced Verizon iPhone only in February and the white iPhone’ has stared selling today. An October shipping date of new iPhone would give Verizon and the white iPhones time to enjoy their purchases without temptation from the next model of Apple’s smartphone. The second reason is that Apple typically updates the iPod line in late summer/early fall. This encourages back-to-school sales and jump-starts the all-important Holiday shopping season. By bringing the iPhone into line with its iPod refresh cycle, Apple could better position new iPhone sales so that giving an iPhone for Christmas doesn't feel like you're committing to last year's technology. And the last reason is firmware update. 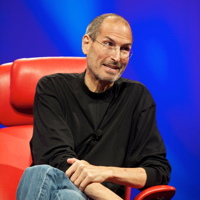 The iPhone 5 and iOS 5 may be presented simultaneously showing us more revolutionary than evolutionary changes.